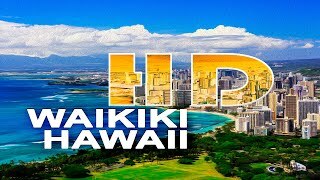 Honolulu is the capital of Hawaii. It has very rich history and a great culture. 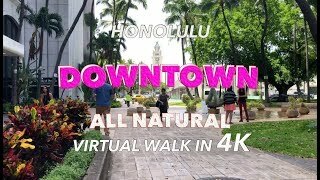 Honolulu has many major tourist attractions. It has the most beautiful islands preserving the rich flora, museums which preserve the vast history of this city. Diamond Head– Diamond Head is a dormant Volcano and an iconic landmark of the city. You can enjoy hiking here. Pearl Harbor- Pearl Harbor is an island of Oahu, Hawaii. It is the most beautiful place to be. World War 2 Valor in the Pacific National Monument- This place is preserving the artifacts and the history of World War 2. It also has a gallery. Hanauma Bay- Hanauma Bay is a beach preserving green sea turtles, and parrotfishes. Ala Moana Center- Ala Moana Center is the seventh largest shopping mall in U.S having departmental stores, boutiques, a food court & restaurant. It is one of the most visited places. Iolani Palace – Iolani Palace is one of the oldest Palaces. It functions as a museum now cultivating the rich history of the city. Koko Head- Koko head is another dormant Volcano and has amazing view. The trails are challenging. The Modern Honolulu- Modern Honolulu is a Lavish Hotel. It has many restaurants and several pools along with free Wi-Fi and complimentary breakfast. Holiday Inn Express – This modern structured hotel has rooms with ocean views, a hot tub, a pool, free Wi-Fi and complimentary breakfast. Stay Hotel Waikiki- Stay Hotel is very near to Waikiki Beach, having modern rooms, plus a stylish lounge, restaurant, free Wi-fi and free breakfast. Ala Moana Hotel- Ala Moana hotel comes with a splendid view, breezy rooms, ocean views, a pool, restaurants, Wi-Fi & a nightclub.